An unthinkable terrorist plot: The earth is shaking. The clock is ticking. Astronomer Megan O'Malley sees things on a cosmic scale -- hidden planets, colliding galaxies, imploding stars deep in the universe. But this time, she's sensing something much closer to home. And she can feel it underfoot, too: explosive seismic shifts along a geologic fault line that could unleash an apocalyptic disaster. O'Malley also discovers something even more terrifying: the cataclysm is intentional. Someone is determined to trigger a mega tsunami. FBI Special Agent Chip Dawtry is a big-picture guy, too. He lost his brother on 9/11, and ever since, he's focused on preventing the next massive terrorist attack. Now, it isn't hypothetical -- it's unfolding fast. But only he and O'Malley see the peril. When O'Malley vanishes, Dawtry races to find her. 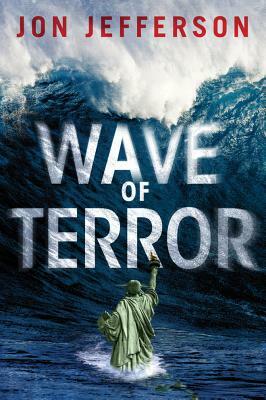 It's up to them to stop a 150-foot wall of water ready to roil -- and wipe out America's Eastern Seaboard. Each new terrifying rumble means it may be too late.